VERMILLION, S.D. 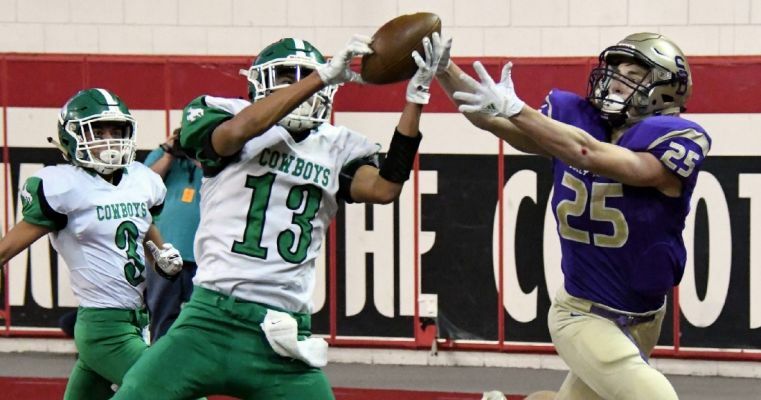 - Colome defeated Sully Buttes 48-42 in an overtime thriller on Friday to win the Class 9B state football championship. Colome got the ball first in the overtime period, and on the first play Chase Dufek blasted straight ahead for a 10-yard touchdown. The two-point conversion failed. Next it was Sully Butte’s turn… The chargers spent their first three plays going nine-yards, making it a fourth down and goal from the one with the state championship on the line. Nick Wittler’s pass on fourth down was intercepted in the end zone by Jaikob Week, sealing the game for the Cowboys.